Come celebrate with us at Golfland and let us provide you the best birthday party ever! 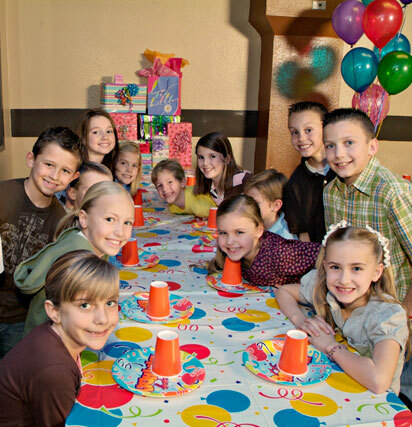 Our birthday parties are hosted by our highly trained party staff to help keep your party running smoothly and on-time. Choose a Birthday Party package; then choose an exciting attraction option. We are the San Jose birthday party experts! We order all of our pizzas, so it takes about an hour for them to arrive. We normally recommend that you place your pizza order through us when you arrive, and they will generally be ready by the time your guests have finished their first activity. All you really need to bring is a cake. We even provide the candles, matches, and cake cutter. We also provide tablecloths, plates, cups, and utensils. No outside food is allowed into the park.